How Can Porcelain Veneers in San Diego, CA Transform Your Smile? Take a moment and envision an image of your favorite movie star’s smile. What are some of the characteristics that stand out most vividly? Mostly likely, it’s the lustrously white teeth and perfect spacing to which you are drawn. The eye loves symmetry and beauty, and a perfect smile embodies both of these qualities. At Mod Squad Dental, your local San Diego cosmetic dentist, our team offers a wide range of cosmetic dentistry solutions to fulfill your every need, including porcelain veneers. 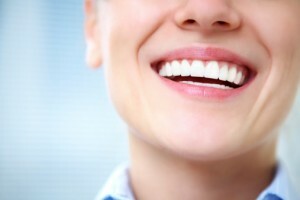 With porcelain veneers, the dentists at Mod Squad Dental can help you craft a beautiful, flawless smile in as little as two visits to our Scripps Ranch office. These wafer thin layers of tooth-colored porcelain fit precisely over the front surfaces of your teeth, effectively masking imperfections. You’ll love how confident you feel showing off your brand new smile! At Mod Squad Dental, we want every one of our patients to leave our office looking and feeling better than ever. One of the ways we accomplish this is with cosmetic dentistry. Contact our office in Scripps Ranch, CA today to schedule your complimentary consultation with our team, and see what an amazing difference porcelain veneers can make in your smile. Our state-of-the-art practice warmly welcomes patients from throughout nearby communities in Poway, Rancho Pensaquitas, and beyond.